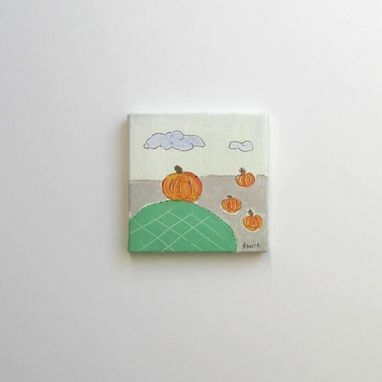 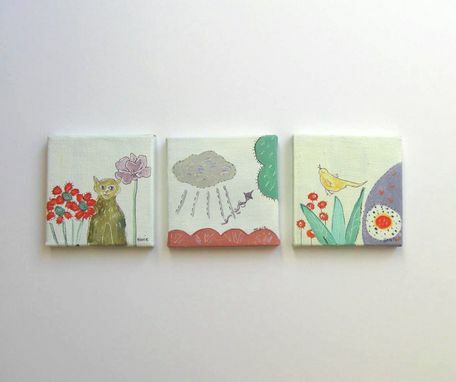 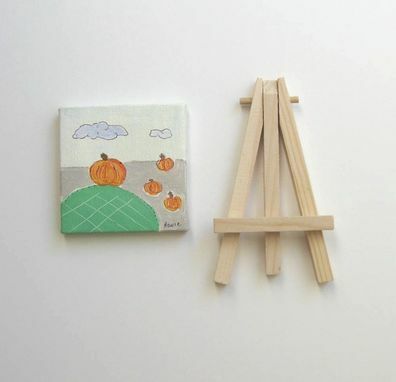 This whimsical little pumpkin painting, is created on a tiny canvas. 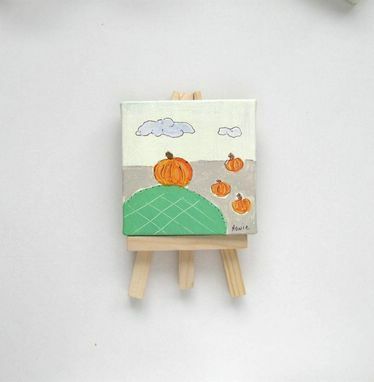 It is an original and is painted in acrylics..It has been coated with several coats of glossy varnish so a beautiful sheen brings out the textures and layers of colors. Buy 3 or more and get free shipping through the month of Oct.